Please join us at Whole Foods Jackson in celebration of 5 years! We LOVE Whole Foods and the support they give Good Samaritan throughout the year through all of our different projects. 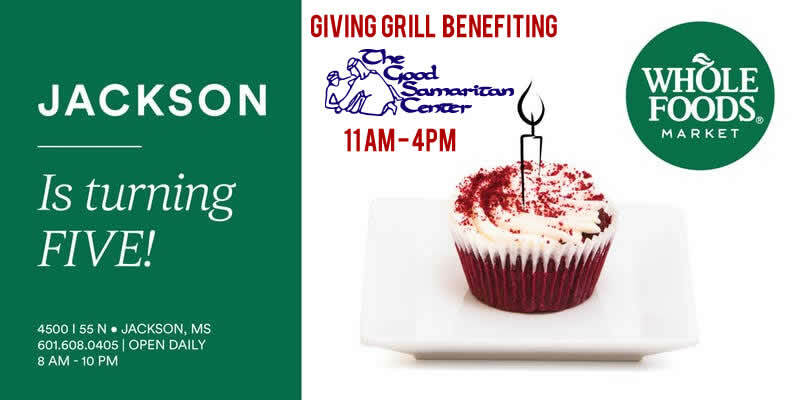 On Monday, February 4th the Whole Foods Giving Grill will be in operation and all proceeds go to Good Samaritan – so please go EAT and bring your friends!!! Details on other events for their 5-year celebration are below! Hope to see you there!